There were several people who wanted to come to my events this month, but were unable to. 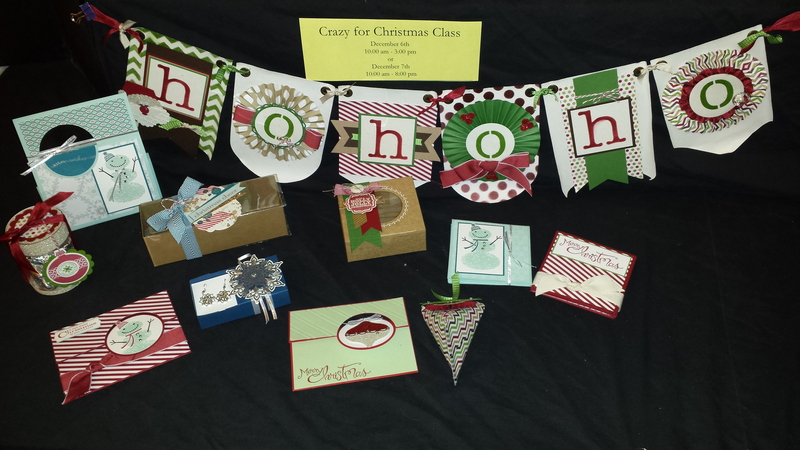 I had a last minute cancellation so I’m going to throw in one more time to make these cute projects and cards. 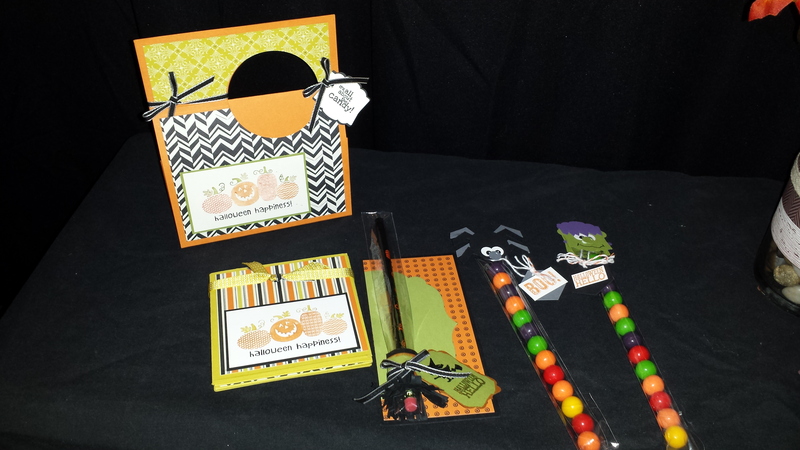 Come make a cute Spooky Banner and other cute Halloween gifts for your little ghouls. 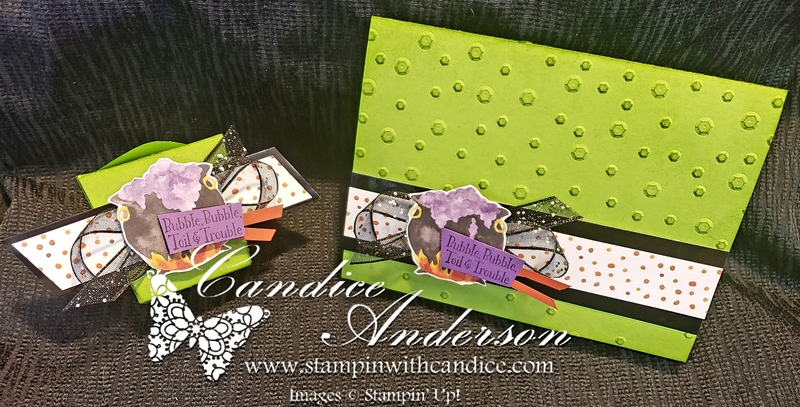 Most projects I have product on hand, but if you would like to make the Spooky Banner please let me know ASAP as I will need to order the product for this. If you can’t make it and would still like to order the kits to stamp and make at home please let me know I would be happy to do that as well. 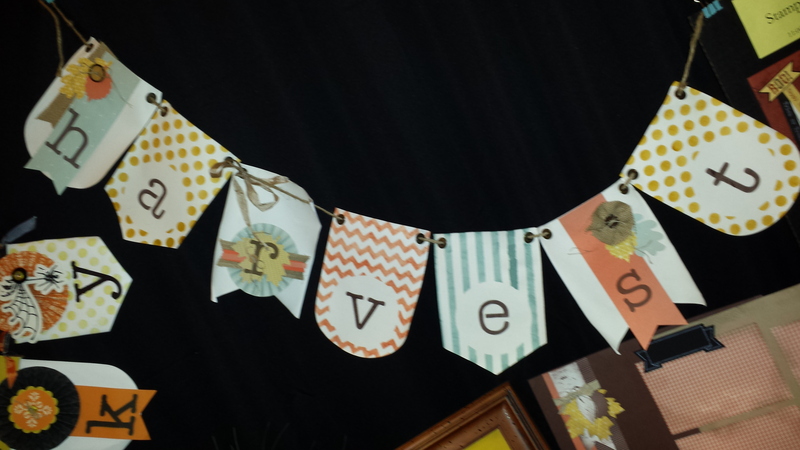 Each Banner is $20 when you do all 6 you will get them for the reduced price of $100.00 That’s one banner for free. All the projects will have a limited quantity cut and ready to go. Just let me know you are coming. So just like a buffet when one runs out you can choose another to stamp. As usual if you want to make a high quantity of a project please let me know asap. 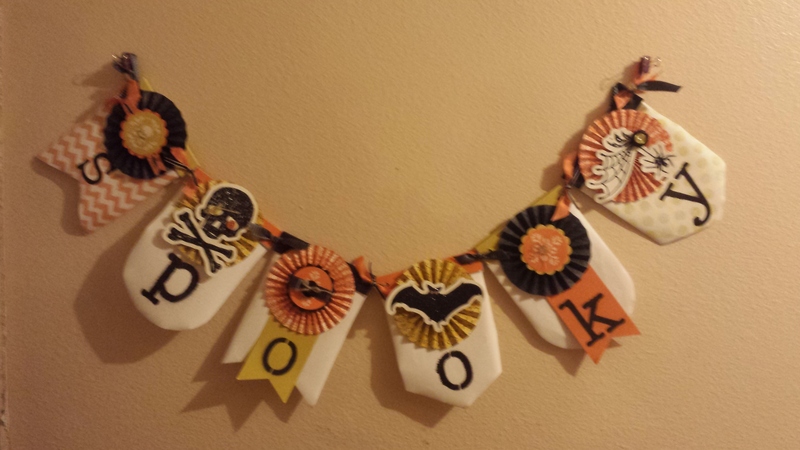 Also if you want to make the Spooky Banner please let me know asap and I will try to get them ordered in time. Bring a friend I’ve never stamped with before and both you and your friend will be able to make a bonus project for free. Ordering Bonus- When you place an order at the event you’ll get $2.00 free for every $15.00 you spend. 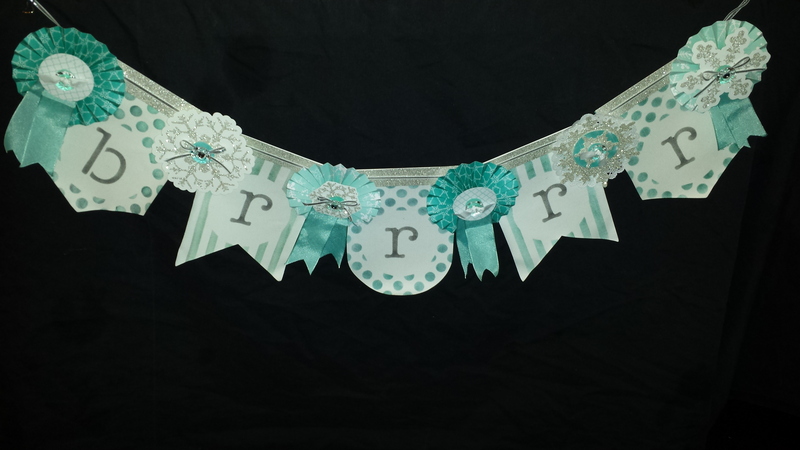 If you would like to create them at home you can get the add on kit for the letters & backgrounds for $10. You will also need inks and sponge daubers. I will have a special package available for these as well if you need them.